Posted on January 21, 2017 at 12:00 pm. Your phone rings – it’s your agent. The casting director has been in touch and you’ve been called in for an audition. You should be over the moon – but all you can think of is how scared you are! What do you think of when you imagine a casting director? If you’re new to the acting industry, probably a shadowy, mysterious figure, quietly deciding which aspiring actors will get their big break and which will go home disappointed. ‘How can I ever impress them?’ you might think. ‘I’m nobody compared to them’. This mindset is where you’re going wrong. 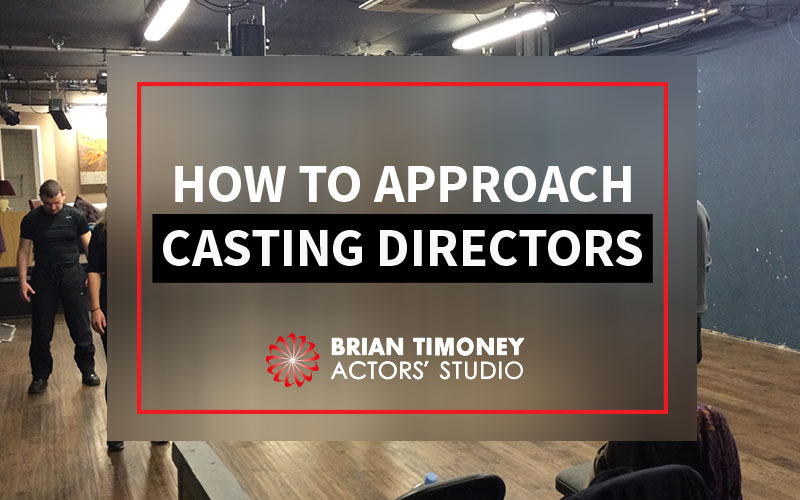 With a few simple tricks that’ll give you a new perspective, you can learn the skills you need for approaching casting directors with confidence. You’ll be wowing them in auditions and doing everything you need to keep your profile fresh in their mind, so when they do have a role that is right for you, you’ll be at the top of their contacts list. The first essential step to approaching casting directors is to get past the huge, scary reputation you associate them with, and remember to treat them as people. Instead of looking at the audition through your eyes, as an actor – try stepping into their shoes and think about what they want. By understanding what they want and tailoring your audition technique to helping them get that, gives you the best chance at making sure they remember you. Let’s look at what a casting director does, to get some insight into their problems. Casting directors are essentially the bridge between the actor and the director. Often, you won’t even meet the director before you’ve got the job – they can review your showreel and make a decision about whether to hire you based on that. The casting director’s job is to shortlist the best actors for a role. Casting directors have established working relationships with a selection of trusted agents. When they’re casting a production, they’ll call up these agents and hand over a cast breakdown. This gives information on what kind of actors the director or production company is looking for. The agent will call up anyone on their books who meets these specs, and send their CV’s, showreels and photos on to the casting director. Based on this information, the casting director shortlists a handful of potentials for the role and calls them in to audition. These will determine who they recommend for the role to the director and producer. The key takeaway here is that the casting director’s reputation is on the line with every actor they select. They need you to be the best you can be as not only does it make you look good, but it makes them look good too! Just like you, casting directors are under huge pressure to perform well. You’re more alike than you think. If you can show up at the right time and bring your utmost to the audition room by going prepared, you’ll be giving yourself the best possible shot when approaching casting directors. To give yourself the best chance at being hired onto a project, you need to show up on the scene just when the casting director needs you. Casting directors are incredibly project-focused- this means they will be absorbed in whatever show or production they are currently casting, and will only be interested in actors who can fit the roles they’ve currently got. How do you find out what projects a director is currently casting? Use your detective skills and head to Google. IMDB Pro is a reliable first port of call. You can also leverage your network- ask around and see if anyone has any inside tips on upcoming castings that they think will suit your character and acting type. If you hear word that a casting director is looking for actors of your type, that’s your chance to go for it. This is the time they’ll be most receptive to you. You’ve heard this a million times, but the number one way to stand out from the crowd and show respect for a casting director and their project is to come prepared to your audition. Yet, no matter how many times you may have heard it, there are still countless numbers of actors who turn up to auditions unprepared. Don’t be one of them. Never make excuses. Think about ways you can bring a unique and creative angle to the script. The more prepared you are, the more relaxed you’ll be – and this means you’ll be able to let loose and show off your skills. Check out Brian’s podcast on preparing for auditions for some more hints. Preparation has a huge impact on who gets selected, especially for smaller roles where professionalism plays a big part in the selection process. Commercial castings are also highly dependent on preparation. They need to make a very quick decision- if you make things easy for them by showing up on time and being at the top of your game, you’re in with a considerable chance. Even if you don’t land the particular role you’re auditioning for, if you’ve prepared well you can be sure the casting director has made a note of your professionalism. Chances are they’ll remember you, shift your name closer to the top of their contacts list, and call you back to audition when they think they have a role that fits. You’ve shown them you will put in your all for any project, and that’s what they need to see. As you build a relationship with a casting director, you’ll become more and more comfortable auditioning in front of them. You’ll feel empowered to try new things and find more creative twists for your characters – and this means you’ll be more likely to land the part! Understanding the casting director’s mindset will help you avoid small mistakes that might cost you the audition. A great example of this, mentioned on Brian’s podcast, is showing up and saying you didn’t have time to read the script as you only got it the night before. Chances are, the casting director is under the same time constraints and hasn’t had the script much longer than you! Blaming a lack of preparation on when you received the script therefore, is unlikely to wash. You’ll only come across as disinterested and unprofessional. Don’t apologise or make excuses for your performance – get in front of the camera and perform your best, whatever your best is on that particular day. From there, it’s out of your control, so there’s no reason to be nervous! Asking questions that you could answer with a bit of research beforehand- this shows you haven’t fully prepared for the audition. If a casting director chooses to call you in, you’ve got a chance! Don’t cheat yourself out of it by not having confidence in yourself. Dismiss negative thinking- bring your best game to the auditions. All you can do is your best – and if you’ve followed our tips to get inside the casting director’s head, you’ll be in with your best possible chance. If you’re serious about transforming your passion for acting into a career, Brian’s courses can propel you into the world of showbusiness successfully. For an intensive kickstart, sign up for his next Method Acting Bootcamp. 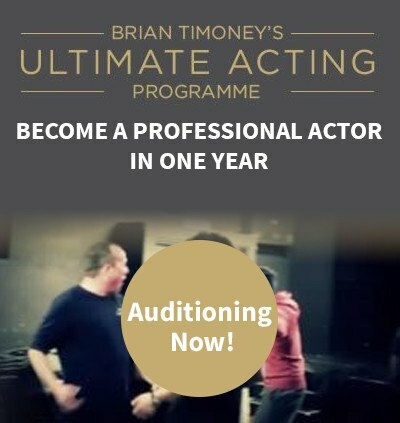 Alternatively, Brian’s one-year Ultimate Acting Programme has its next intake in May 2017. This course includes a week spent in LA, where you’ll meet two Hollywood casting directors! You’ll also get an exclusive private screening of your work with a leading UK casting director at the end of the year. Contact Brian for more information, or sign up for the course here.